With high roofs and yellow tiles, the imposing architecture of Dali Bai Autonomous Prefecture Museum (aka Dali Municipal Museum), stands in Xiaguan's northeast sector near the approach to Erhai Park. The museum has become an important site not only for tourists but also historians, archaeologists and scholars of minority studies from around the world. 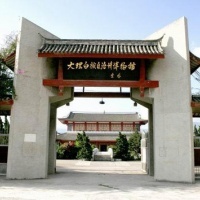 The museum presents the culture, history, architecture and ethnic variety of Dali Prefecture. The building complex has a strong flavor of Bai ethnic group who live in compact community in the region. Dali was once the capital of Nanzhao Kingdom during the 8th and 9th centuries. 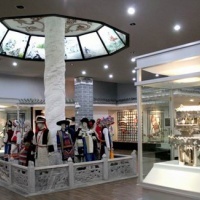 Displays show many archaeological discoveries, photos, inscriptions and cultural objects, which present a picture of the ancient kingdom in various social aspects. 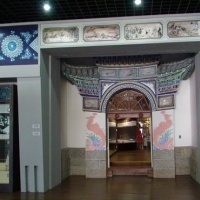 Exhibition halls of the museum also display tools, fine pottery, bronze objects and a variety of cultural relics from Neolithic Age to Yuan, Ming and Qing dynasties. The museum was built in 1986, and covers an area of 40,000 square meters. Tourists can take bus No. 6 in Xiaguan to get there.